First of all, you should log in to your PeerClick account. Then choose the Sources tab. and click New. There you have ready templates. 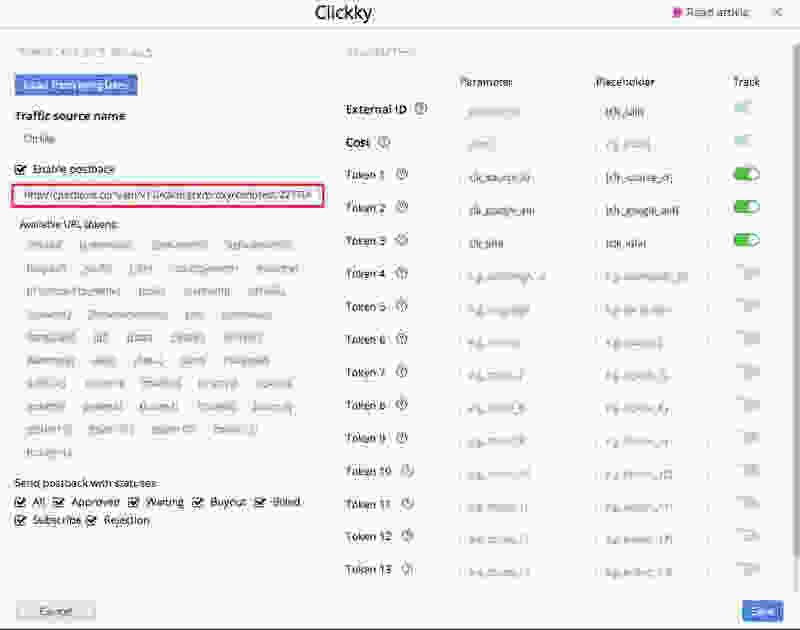 Then, find and select Clickky from Sources templates. All the necessary settings will be automatically added to the Source. 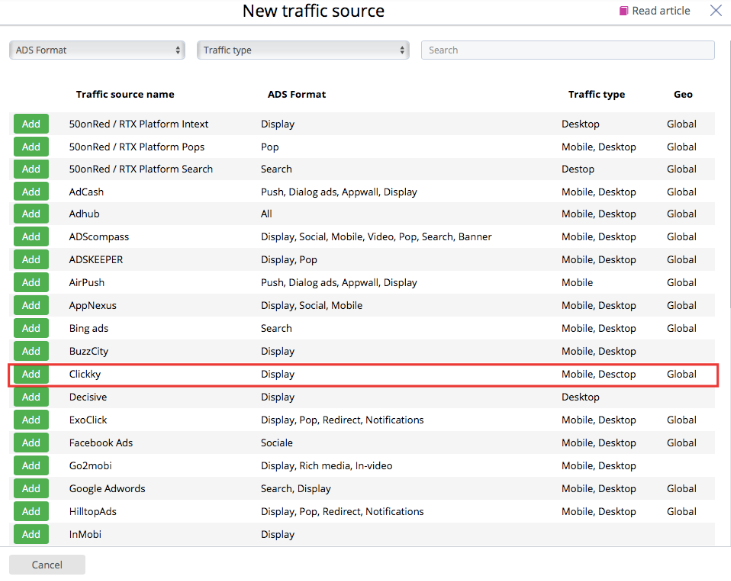 After completing all replacements, click Save to set up your Clickky settings in PeerClick (if you want to make any changes — select your traffic source from the list and click Edit button). After creating a campaign in Clickky. Generate your postback URL and copy it. 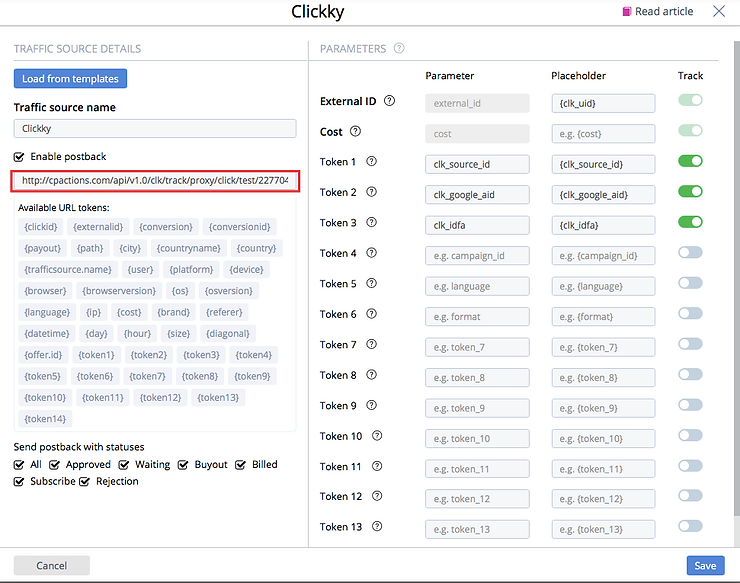 Go to your PEERCLICK account. Make the postback enable. And paste the postback URL in the Traffic Sources tab. field. 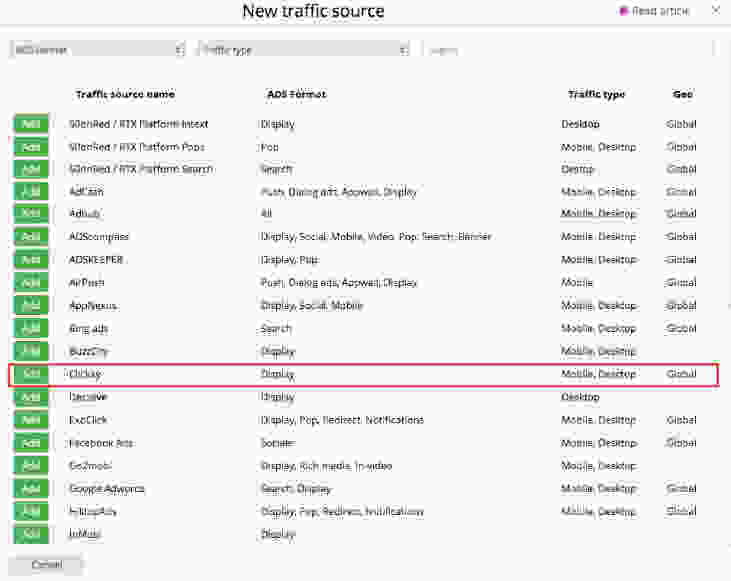 Select «Clickky» as the Traffic source and fill in all the mandatory fields. As you finish setting-up your campaign’s destination paths click the Save button. Copy this link into clipboard. Within the Define Tracking window, you have the ability to enter your Tracking URL. 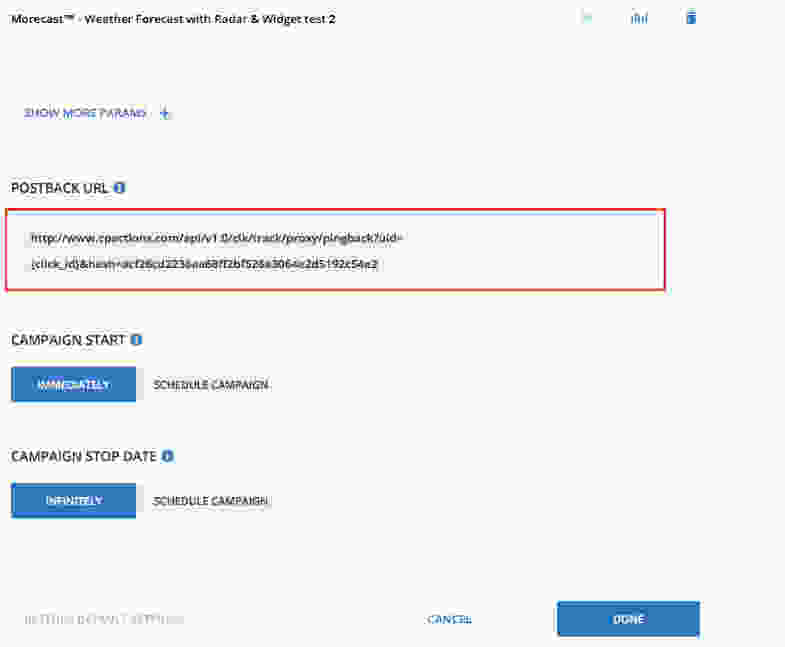 Paste the Campaign URL you have Copied in Step 4 into the corresponding window and click Build. You will receive a confirmation message. If necessary, the tracking macros can be adjusted right from this page. 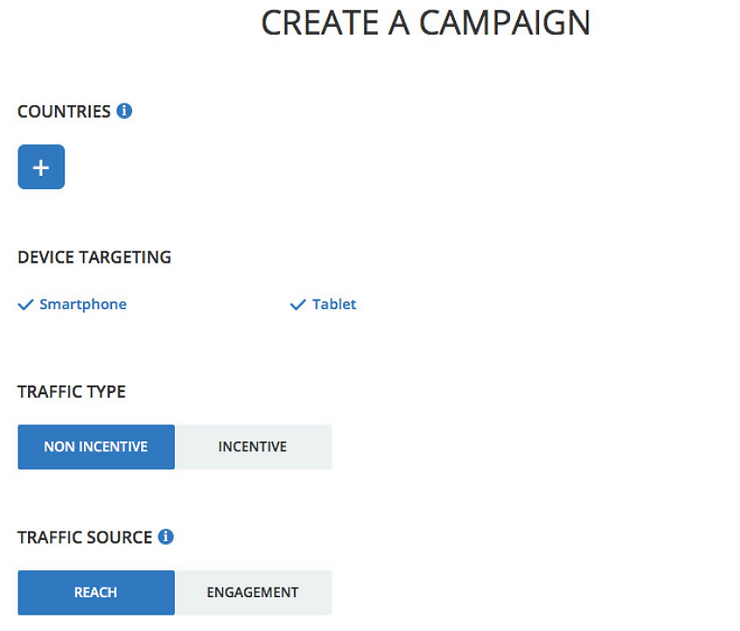 Click Next Step after you’ve submitted the necessary information about your Campaign.